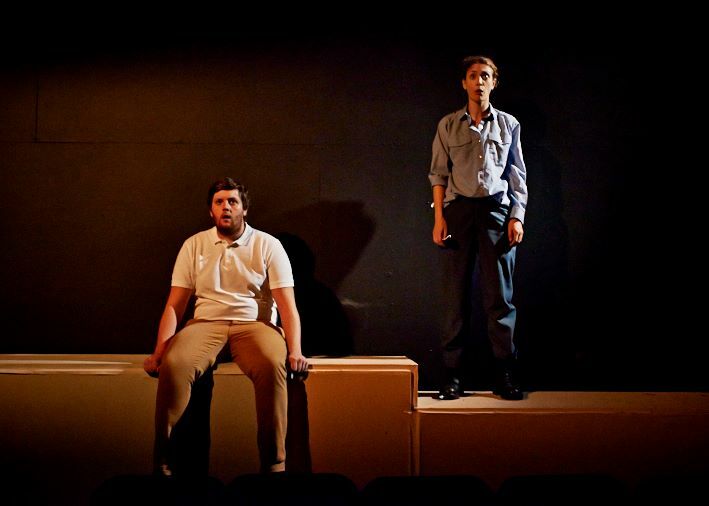 Preview The Homecoming, Rogue’z Theatre by Sam Pryce. Playwright Harold Pinter believed The Homecoming – a prickly insight into a womanless family – was among his best work. It’s certainly one of his darkest, and, potentially, funniest. 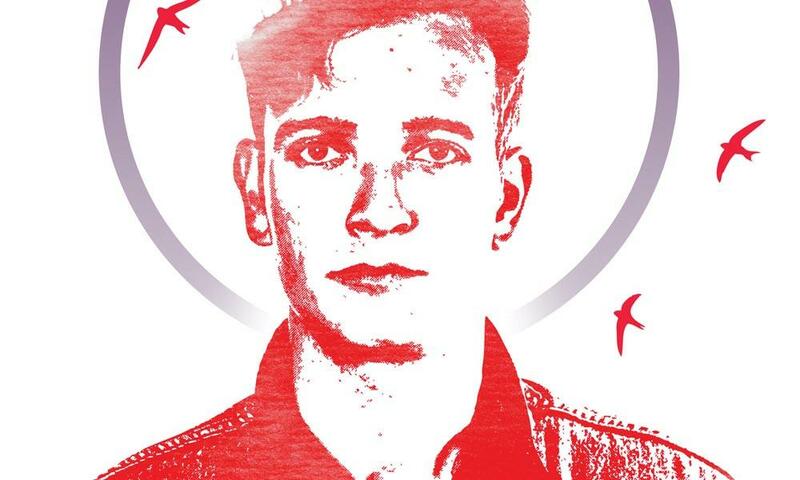 Therefore, it’s appropriate that the undeniably talented folks at ROGUE’Z Theatre Company have chosen to perform it as part of this year’s Cardiff Comedy Festival. They welcomed me into their apt rehearsal room – a grey-brown, disused church hall with the troubling presence of a Baby Jesus and Mary sculpture. If only Mary could have heard what goes on in this play, she’d be quick to cover her little boy’s ears. In a North London living room, the relatively successful Teddy returns from America to his dysfunctional, all-male household with his wife. Together, they are berated and humiliated by imposing patriarch Max and his two sons: the suave, sexually aggressive Lenny and the brutish boxer Joey. The audience shall be left, like Max’s mild-mannered brother Sam, sitting very uncomfortably, unsure whether to laugh or cry. It ran exceptionally smoothly for a rehearsal. However, the company assured me there were some creases I didn’t notice that require ironing out before they open this week at Porter’s (21st and 22nd) and subsequently at Chapter (24th). 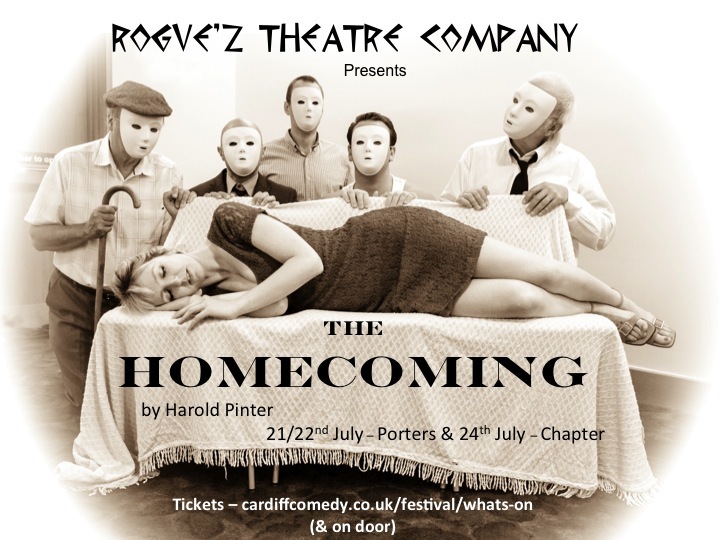 ROGUE’Z production of The Homecoming is at Porter’s Cardiff on 21st and 22nd July and Chapter Arts Centre on 24th July 2014. Henna night is arriving into Chapter arts centre for the 21st and 22nd of July, and promises to be a sizzling theatre experience, full to the brim with black comedy. The production tells the tale of two women who by all accounts should loathe each other – the Broken hearted ex, Judith, and his new girlfriend, Ross, when sarcasm and insults give way to reveal parts of the two characters’ lives, the characters carrying the show in an intimate, character driven play. Henna Night won The Sunday Times Drama Award in 1999, the aim of the Chapter performance by 3 Crate Theatre is to keep it as fresh and relevant as ever, with the leads easy to find in your everyday life.A whole show sitting on the shoulders of two very different women is a refreshing thing to see in a world where even the strongest of them tend to be props in the stories of men, the archetypes of love interests and women scorned hard to see a break from. 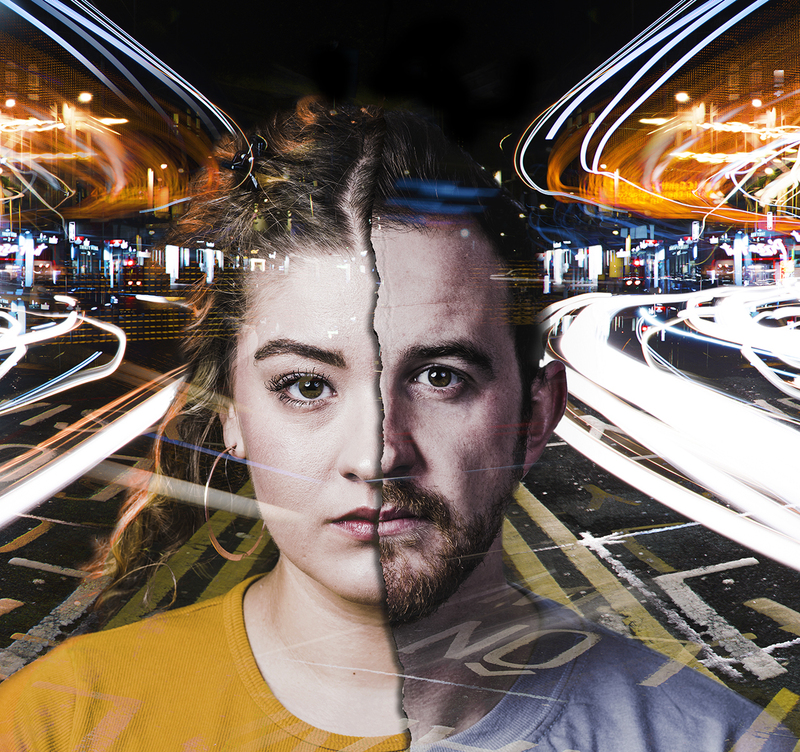 As a new play for Cardiff, and part of its comedy festival, the show carries high hopes , and with a talented cast, crew and director should soar to meet them. A serial killer expressed in an empathetic way? You wouldn’t have thought it possible but Bernard- Marie Koltés play ‘Roberto Zucco’ does this justice. Roberto Zucco, the infamous 1980’s Italian serial-killer, murdered his parents, two police officers, women and a child, he was broadcast by the media as the monster he was. Then Koltés play was released. The only way to give justice to this play is to take audacious risks and convincing characterisation and the theatre company, August012’s did this exceptionally well! It was evident as you stepped into the traverse layout performance space that you needed to leave all expectations of normality behind. The shimmering silver confetti on the floor and the way the actors moved around the audience before the play had even begun, gave an insight to their characters, which consequently brought this play to life instantly ! The gripping nature of the production in part due to the actors limitless abilities as they effortlessly stepped into different characters. Each character brought a highly entertaining twist that took the audience by storm. 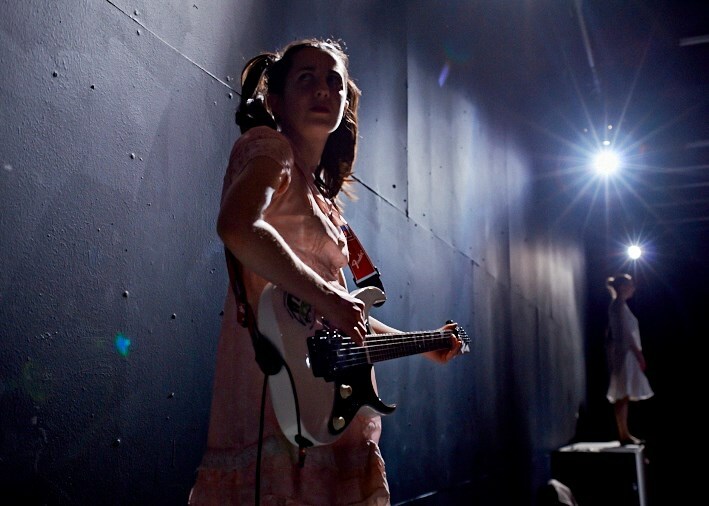 Bethan Mai embodied every character she played with such ease and allurement that it grasped the audience completely. John Norton gender swapped, pimp-played, became a fragile old man and other characters you wanted to loathe and love. Nevertheless he delivered the most laughs. John achieved his roles with such conviction that you had to think twice if it was really the same person acting. Joanna Simpkins with her beautiful yet bold characterisations, delivers with such strength that the audience tuned in to every word she said. Last but not least, Adam Redmore took the role of the protagonist Roberto Zucco in his stride. Even though this is the only concrete character in the play, Adam’s performance was outstanding as he delivered passion beneath the psychotic words and the mesmerising gaze which enthralled the audience. The fact we sympathise with his character the most unsettled the audience due to the realisation that he was a serial killer! One of the other fascinating elements this production offered was the original and talented aspects of the choir. They produced non-diegetic music that supported the fast-paced interchanging scenes. This created an intoxicating energy that engulfed the audience and enhanced the performance. Their voices sung with angelic clarity brought an unnerving oxymoronic presence to any darkness created in the scene ! However nothing could have prepared the audience for what they themselves brought to the performance. The high level of audience interaction kept us on the edge of our seats throughout. Without spoiling anything it certainly was an experience worth experiencing! Director Mathilde López knows no boundaries and has once again created a work of art that excites and captivates the audience with black comedy throughout. 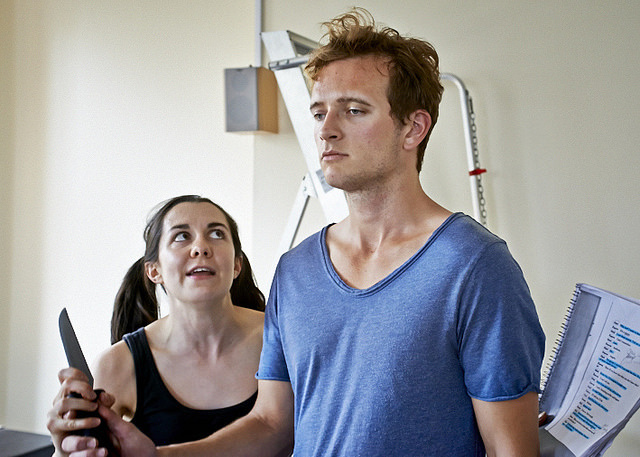 Grab a ticket and see for yourself what August012’s company has to offer, changing the way we view theatre in Wales. In the midst of sparkly confetti and placed in a traverse corridor shaped stage, we were invited into the play of Roberto Zucco; a serial killer known for his murders of his father, mother, a police officer and a child. From the above brief synopsis, we would expect that the play by Bernard-Marie Koltes would be an emotional impacting play, veering on the disturbed and the almost uncomfortable. And to a point, this is correct. August 012 have taken the play and ventured into this concept, but with a twist. Two hours of something so heavy could turn an audience away, but with the comical factor and the impressive staging concept, not to mention the fantastic acting by all cast members, Roberto Zucco changed into a play with a range of emotions, from fear, to excitement, to hilarity. The production as a whole reminded me of an alternative universe. There were hints of what we can relate to in modern age in characters and in the scenes, but with occasional glimpses into historical stereotypes, such as the American style 1940’s detective. The use of bright colours in costumes and props such as blood that is spilt in contrast to some more plain and plaid areas added to this concept, reminiscent of the comic book style of film genres such as ‘Sin City.’ This came with inventive ideas which I cant mention here as they may be a spoiler for the production! but rest assured these moments accompanied by lighting and sound effects were a real highlight of the work. The ‘Little Chicago,’ filled with its lust of prostitution and crime ,vibrant with colour and stereotypical of such places. It felt as if we were in a strange different world, where the norm was not possible. This take on a real life story however, could make you forget that this is indeed based upon a true serial killer. The actor playing Roberto, Adam Redmore brought this back. For very controlled movement, facial expressions and overall persona, it could only take a very skilled actor to accomplish. With the hectic nature of some characters in their farce take, this cool and collective character almost seemed like the most normal of them all. And of course, the accompanying actors tended to take on several roles, an impressive feat I would say. Not only did they manage to make us forget that they were playing different characters, their physicality and attitude to the different parts was astonishing and well accomplished. Not one character could be said to have outshone as they all showed their very well trained skillset. The contrast of recorded music as well as an in person choir was a lovely idea and did add something different to the piece. The choir sat on high staging behind the audience around the room, at times taking part as very minor characters. While this was a good addition, as well as the shining talent in the audience with impromptu speaking and movement parts, it felt that more time was taken on the main actors rather than work on the choir. Eye contact at times that were from their own inquisitive personalities I felt broke some of the atmosphere, with fumbling attempts to get onto the staging drawing attention away at times and ‘character’ breaking when finding some of the action comical themselves. To me personally this at times, spoilt the well-executed action on stage. We all have a morbid fascination with serial killers. How can someone be that fearless and disturbed to commit such an act of forethought malice over and over again? In this 1988 absurdist play from French playwright Bernard-Marie Koltѐs, the notion that a killer is in fact influenced by the hypocrisy and corruption of others is explored via the real life Italian killer Roberto Zucco – infamous for first killing his parents before moving on to police officers, women and a child. Certainly not your usual protagonist, but what is especially unsettling is that you find yourself empathising with his character the most. That’s when a play has really done its job. 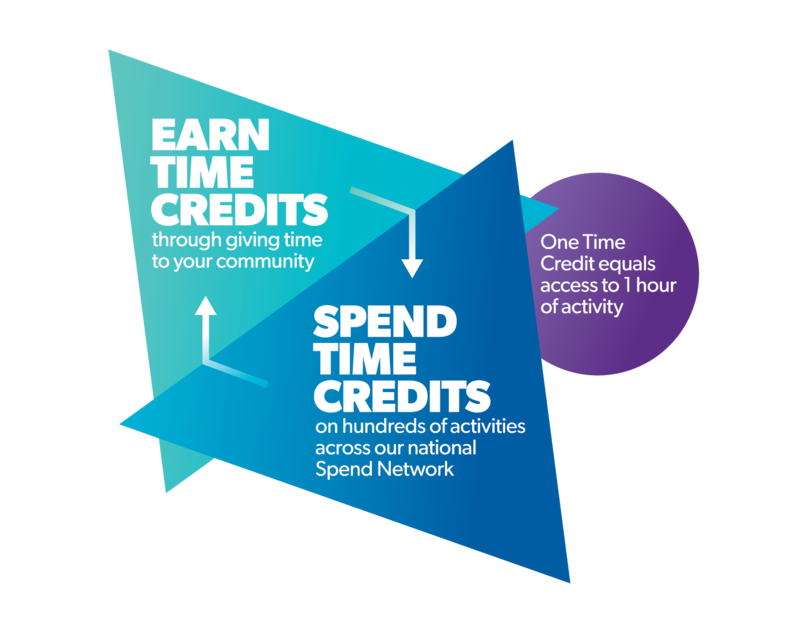 Such a provocative, audacious idea must be conveyed in an engaging enough way for its audience to listen and this company doubtlessly flourish. Under Mathilde Lόpez’s always revelatory direction, this production terminates your grasp of sanity from the moment you walk through the door. Much like Tonypandemonium in its impulsive, even primal spontaneity, no scene has a set beginning or end and, despite the traverse staging, the entire space is used. What erupts is an exhilarating if disorienting experience. With all those rapid head movements, it’s a bit like being at Wimbledon. Yet another inventive aspect of this production comes in the form of a choir whose soaring voices underscore the piece adding fluidity to the act and a somewhat ethereal atmosphere. It gives Zucco’s story the feel of a great operatic tragedy. The cast are boundless in their abilities. All hang-ups are lost, which is customary if you’re working with Lόpez. With Roberto Zucco being the only concrete character, the more-than-mutable supporting cast must resort to shifting personas in the space of seconds. Bethan Mai foams and fizzes with mischievous allure and emotional instability. Joanna Simpkins, with her arresting glare, delivers the text fiercely with vigour and verve. John Norton transcends gender and nationality to assume progressively ludicrous guises and, as a result, gains a lot of laughs. 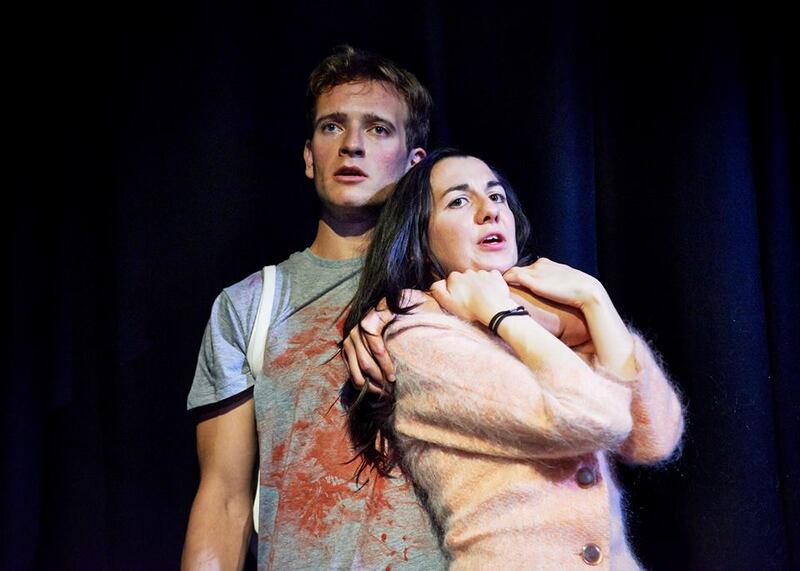 And, last but not least, Adam Redmore as the eponymous assassin is cleverly the most vulnerable, with a killer’s vacant gaze, blameless in a troupe of flippant coppers, manipulative mothers and incestuous siblings. Of course, the best performances come from the (un)lucky audience members who, curiously, always oblige to joining in, whether they have lines to say or a chair to give. Lunacy is omnipresent and openly encouraged. Explosive and uncompromising, Roberto Zucco shocks, excites, tickles and disturbs. The gusto never dips and the mood never dampens. Kill for a ticket. Sit in the front row. Leave your inhibitions at home. 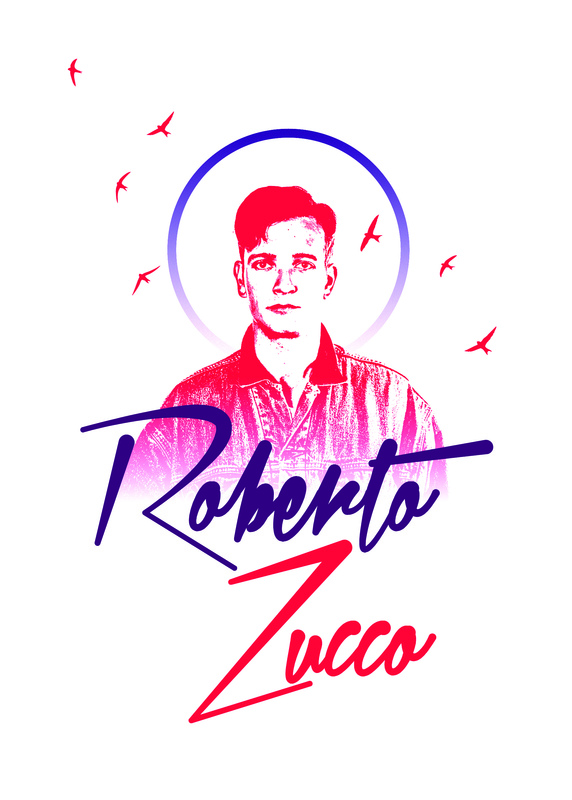 Roberto Zucco – natural or nurtured killer? That question, among others, is the sort of thing this production of Bernard-Marie Koltѐs’ final play shall attempt to answer. Not only is it sure to answer this, but I expect it will encourage its audience to pose many questions as well with its boldly original style, courtesy of the expertise of director Mathilde Lόpez. It opens tonight (Wed 9th July) at the Stiwdio venue of Chapter Arts Centre, but the company were generous enough to let me to sit and scribble in the dark while they had their tech rehearsal. And I can tell you: even the rehearsals are as erratic and exhilarating as the production itself. Firstly, a word about the play. Written in 1988 by absurdist Bernard-Marie Koltѐs and translated by Martin Crimp, it appears to follow the life and murders of the real life Italian serial killer of the same name, charting his familial and romantic life along the way. Alas, it’s not as factual as you may think. While the storyline is generally accurate, it is the primitive dialogue and ferocious characters that are the most striking. And she’s succeeded in injecting that almost manic conversion from comic hysteria to tenderness through several mediums that you’ll have to see for yourself. A lot of the questions I had prepared were somewhat irrelevant when I saw how the play worked. I realise that it’s not as much about Zucco himself, rather how he’s driven to it. Discussing it with Lόpez, however, gave me a huge insight into what’s below the surface of Zucco. ‘He is almost like Jesus, in a way,’ she says. ‘The play is a kind of crucifixion. He himself is not an evil character; he is only made to do these things because people want him to. You know, a girl asks him to kidnap her and he does,’ muses Lόpez, intermittently popping a Skittle into her mouth. I notice too that Zucco, played expertly with disconcerted shyness by Adam Redmore, seems the most timid of all the characters. It, therefore, is a play about how perhaps we are not born evil but made that way. Watching Lόpez work is a privilege in itself. She changes seats regularly to ensure everyone has a good seat, occasionally adjusting the positioning of the actors accordingly. Sporadically and without warning, she barks mid-scene instructions or adjustments to actors – ‘Louder’; ‘Too far’; ‘Cry more.’ And the actors obey her every word and carry on, simply because, very often, she’s right. Lόpez, like any artist, is obsessively meticulous in all aspects of the performance – the speed of a crossfade, the tone of a voice, even the direction of a bucket of blood. All chaos is organised. Such carnage requires scrupulous direction. Every actor seems an artist in their own right too and perhaps that is the reason for Roberto Zucco feeling so dazzlingly volatile. Adam Redmore and his supporting cast (made up of Bethan Mai, Joanna Simpkins and John Norton) are equally brilliant showing no sign of exhaustion from these rehearsals, abandoning all the usual barriers of age, class and gender. They are empty vessels for the quirks of minor characters to fill. I was still unsure of what was to come even after watching scenes replayed over and over again so that a light or a noise was in the right place at the right time. It’s a real feat of the imagination. People, like Zucco, should kill for a ticket to this. (Don’t actually do that.) I know I am dying to see Thursday’s finished product. 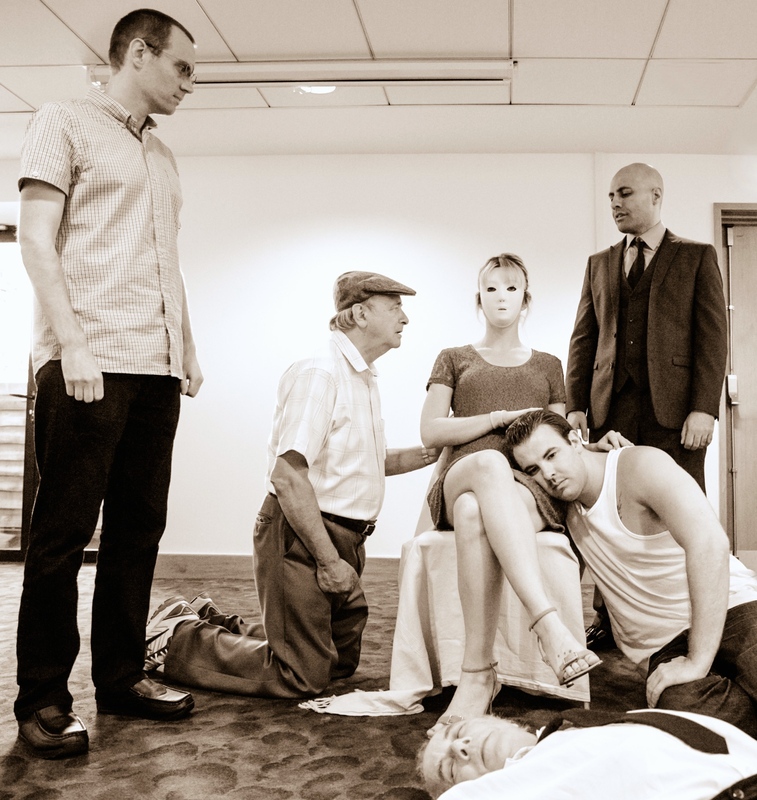 Roberto Zucco is at Chapter Stiwdio, Cardiff from Wed 9th to Sat 19th July 2014. 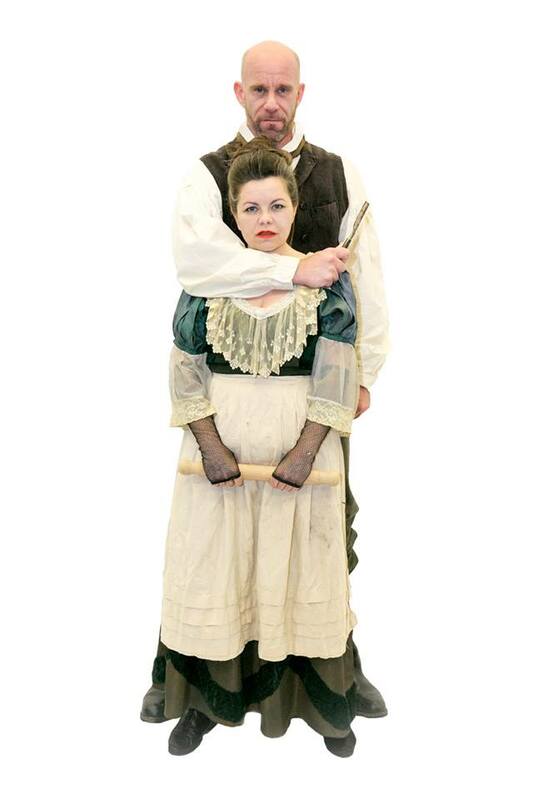 Everyman theatre’s production of Sweeney Todd was just the type of treat Mrs Lovett’s pies were, with their dark ingredients. As the scene was set, drizzle adding to the atmosphere of Victorian gloom, I couldn’t imagine what I was in store for. David Stephens as Sweeney was magnificent, getting into the obsession and rage of the character with a captivating voice, whilst still playing the dark humour well too, even adding in one or two Jack Sparrow slips as with Depp in the film version; every moment with our principal character on stage a treat. Other great performances come from Joan Hoctor as Mrs Lovett, balancing all aspects of her character well, with a singing voice that adding her accent without it ever overtaking the songs, which can happen in some performances, providing most of the laughs for the audience, even as the second half of a dark duo. Sondhiem was a genius for making someone who is, on paper loathsome so sympathetic, even with her eviller revelations, and Hoctor showcased that well. Other characters played notably were Olivia Hopper’s Joanna, managing to play her descent into madness on top of what would otherwise be a stock romantic character and the beggar woman played by Sarah Chew, both entertaining and disturbing as the more traditional mad woman whose songs drive the action of the second act. Pirelli was a scene stealer, and when the audience see his fate we can’t wait to see Sweeney’s gruesome plan unfold, and the beadle was a classic pantomime style villain that was fun to see prowl around. The ensemble cats were also brilliant, their harmony for the Ballad of Sweeney Todd powerful and pitch perfect, and the costumes were, as the Victorian theme demands, absolutely gorgeous. The show had very few slip ups, all forgiveable – while the judge’s actor, Clive Riches got under the disgusting skin of the character, his part of his duet brought the other half of the performance, from Sweeney himself down a tad, though he was fine when he sang solo.The role of Anthony’s played by Joe Wiltshire Smith performed well, but didn’t make me think his character was any more than the traditional romantic, conversely for such a well-worn character type probably the most insane of all the madmen and women of the show. A final misstep was the bookending of modern characters looking into the story, though perhaps it was meant to symbolise how intriguing the character is despite the age of the setting and folk story, but it really only took the audience’s mind off a world the cast had done so well to establish. All in all, it was an exciting, atmospheric performance abuzz with energy; eyes glued firmly on the main stars performances, lavishly acted and staged, a brilliant performance of a dazzlingly ominous iconic show. In the heart of Monmouthshire, donned in my favourite pac a mac and waterproof footwear, I entered Mametz, by National Theatre Wales, amongst the trees and rolling hills of Great Llancayo Upper Wood, Usk. This awe inspiring production was based upon a memoir by Llewelyn Wyn Griffiths of his time in WWI with the attempt of taking over the Mametz wood. The writer of the play, Owen Sheers stumbled upon a grave on 20 british soldiers in the Mametz woods and wrote a poem based upon this image. 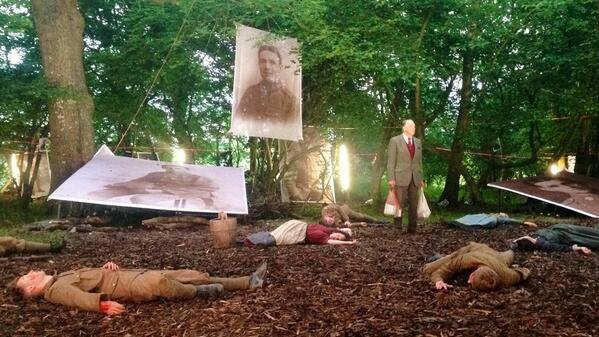 The combination of these two ideas created this production – Mametz woods soon reconstructed in Usk. 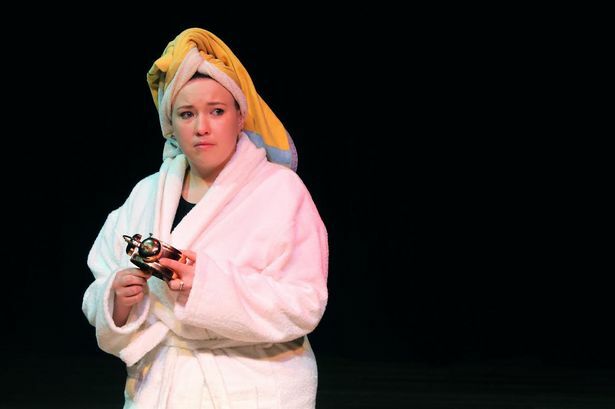 With a star infused cast including the Welsh comedy drama, Stella’s actors Catrin Stewart and Michael Elwyn , the performers were all on top form. Evoking every reaction, from fear to joy, sadness and grief to brief comedy and much more, we were brought through a rollercoaster of emotion felt by the soldiers and families of the time. This natural yet surreal production gave opportunities for the performers to stretch their talents. This ranged from double upped acting, to movement and freeze frames, showing that between the well established to the relatively new performers, there was no comparison through the sheer professional nature and inspiring acting skills. The staging of this show was absolutely magnificent. When reading the press release, a 2 hour show with no interval originally seemed daunting and accompanied by the warning of footwear, I feared that this promenade performance would be more of a trek. Oh how I was wrong. With four separate staging areas that we were welcomed into, there were opportunities to sit , stand, some under cover and others in the woods. 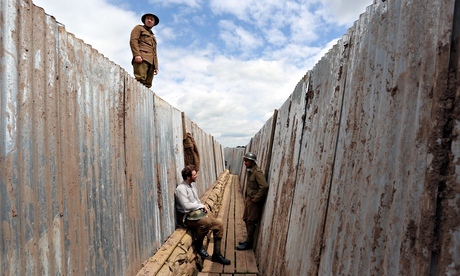 The one day so far in this beginning of Summer, we had rain but this gave more atmosphere and more of an experience of trench life; it almost seemed difficult to imagine such a hard-hitting piece to be covered in anything but a rain pour. Walking to the first area, the large grass hill showed us two soldiers passing messages. By running over the hill and out of sight, we felt amongst the war land and wondering if we would ever see this boy again. And they were just boys. 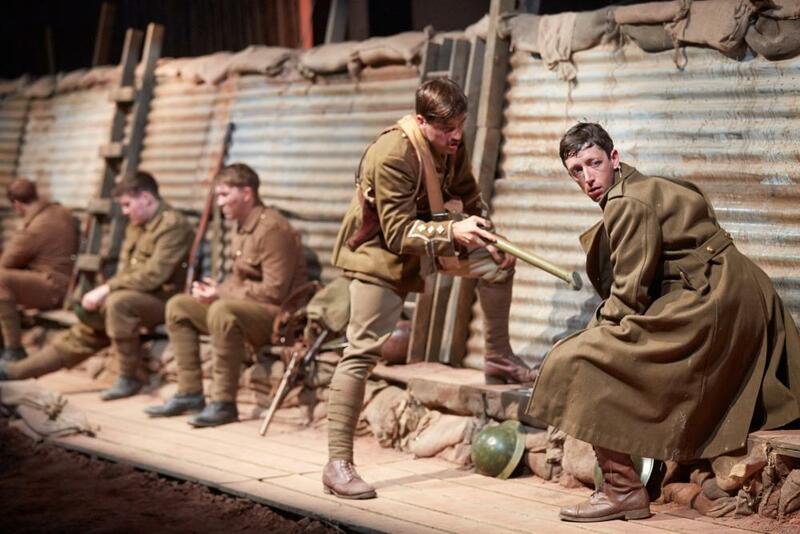 A cast of young faced actors put in perspective the reality of the age of the WWI soldiers. We were forced between iron walls, imitating a trench and with performers dressed from current soldier attire and through the eras to our new time frame, giving a feeling of time travel. Two barns were converted into, firstly, a French pub which brought a sense of location to the piece, and then a longer set amongst a trench. Here we saw the lives of each soldier, with the side of an old brick barn lit up through the windows, illustrating time back home. Behind the trench that we were faced to, the walls opened up to show the wood behind, where many images were created to , at times, give a surreal nature such as the injections of memory of an older soldier, reminiscing on the scene, to the warfare itself. We, ourselves were forced into a soldier’s nature, eventually walking through this to an amazing lightened field, where we followed the soldiers into battle; the commanding officer shouting at us like one of the men. Fear was felt like the soldiers from this interaction but was a fantastic way to move the audience. The final scenes were carried out in the wood with giant portrait photos on the trees and staging of the soldiers. Forced to walk through the soldiers that just opened up to us in the barn being murdered and writhing in pain was thought-provoking and a shock to the system. 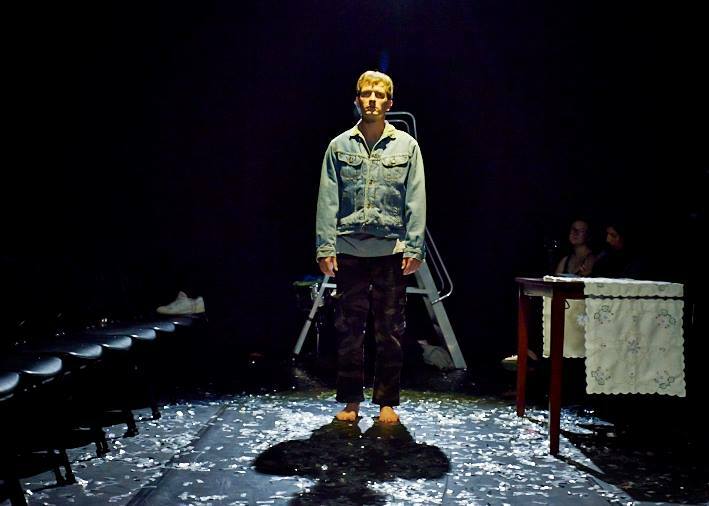 NTW did not spare any risk in this production and that was a breath of fresh air. I couldn’t help but give a standing ovation to this piece and through my tears, be in such awe. As a performer and theatre creator myself, it can be difficult at times to really become struck by a piece. 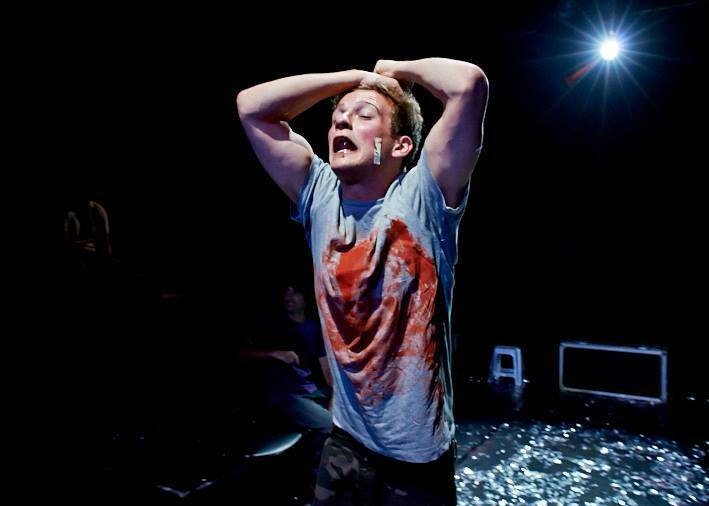 War Horse last week gave me this feeling, but Mametz escalated this feeling for me. Productions such as this are why I love the theatre and why I perform and create my own theatre which aspires to be as inspiring and beautiful as this. 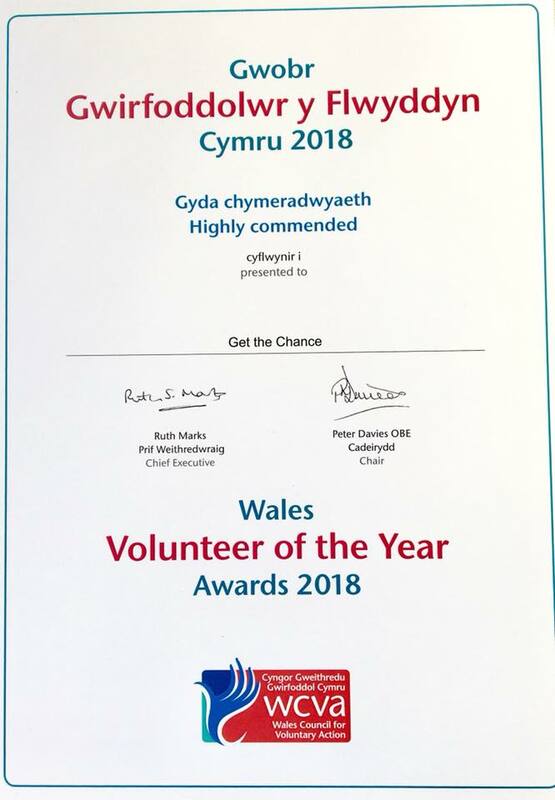 The sun, as it often chooses not to, is shining over Wales, with people country-wide crossing their fingers for a summer just as extraordinary as this unusual event. Perhaps that could be found with the return of the Everyman open air festival in Sophia Gardens, the biggest of its kind in Wales, hoping to entertain thousands with their four productions; the opening one being the iconic Sondheim musical Sweeney-Todd from 4-12th of July promising to disgust and delight in equal measure, as the macabre descends into the summer heat. The next show in the season is a showing of three Blackadder II episodes, promising cunning afoot from Rowan Atkinson and Tony Robinson’s classic characters, and lots of laughter from the captive audience from the 15-21ST of July. The turn of the shrew will play from the 25th of July to 2nd of August, showing one of ultimate playwright Shakespeare’s most famous and well-loved romantic comedies. Family fun will swim onto the scene with a performance of little mermaid Jr from the 26th of July to the 2nd of August, with the beloved characters and unforgettable musical numbers sure to shoal in the crowds, and have both children and adult’s toes tapping. The productions will all be numbered and undercover, so even if our weather goes with the age old tradition of the summer downpour, it won’t put a damper on the performance and atmosphere. The tickets for all are £12-£16 with the exception of The Little mermaid junior, which can be purchased at £7 a standard ticket or £25 for a family ticket. 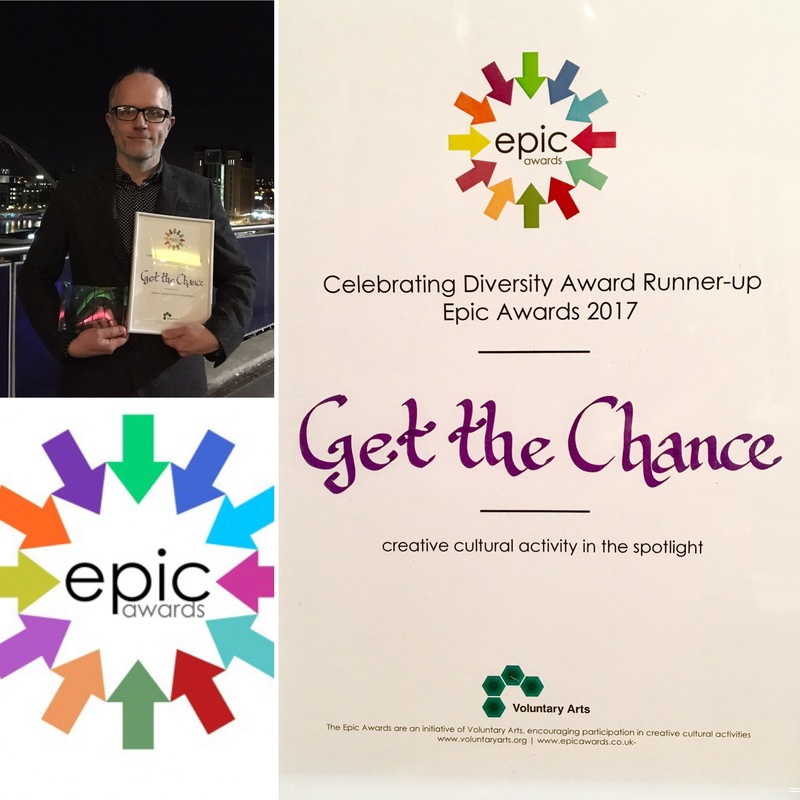 Whether it’s a long, lazy summer, or you’re looking for the perfect live entertainment in amongst routine, the Everyman festival is sure not to just bring entertainment, but experience, and one that looks to be engaging and inspiring. 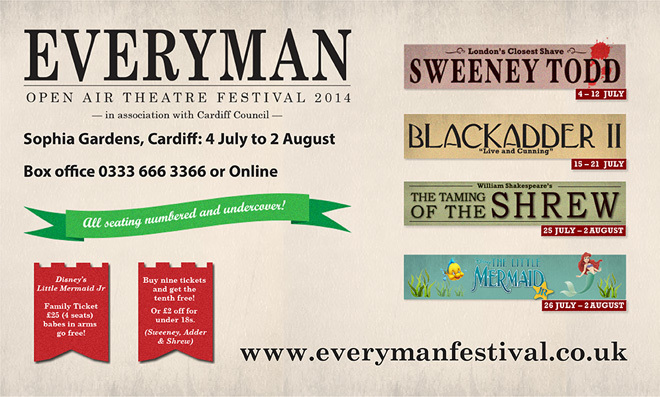 If you’d like more information, you can contact the Everyman festival through their twitter or Facebook pages, their own website at www.everymanfestival.co.uk or call the box office at 0333 6663366. Please note as an employee of the Wales Millennium Centre, the following review is my critical response as a member of Young Critics. In modern day Wales, we became transported to pre First World War Devon on the Donald Gordon Stage at the Wales Millennium Centre. The story of War Horse sees the relationship between a boy and a horse his poor farmer father buys, landing the family struggling for money. The show sees the progression of both Joey the horse from young to old, with his love and devotion to his rearer, young boy Albert and the struggling life they both encounter when war breaks out. Joey is sold and transported throughout the lands during war and Albert strives to find him and bring him back home. The stage professed a simplistic staging, beginning with only a large screen in the shape of a ripped piece of paper, hanging across the stage. This screen shows animations throughout the piece, from setting scenes including a Devon village to trench life to dates and places to put the scenes in context. Additional staging including door and window frames and bunting added a subtle element. The production is given a earthly and rural colour through lighting and costume, adding to the time setting. Folk music with fantastic solo and ensemble work is used throughout, with accompanied music for crescendos, helping to set the scenes and atmosphere. This subtleness is soon evident as to its use when a beautiful folk song climaxes to the change of Joey from a baby to a grown horse, leaping from the back darkness of the stage and lit up in all its glory. The puppetry alone is astounding. The Puppeteers have caught every movement and inflection that these creatures posses. At times of crucial narrative, small glances at the horses throughout the show can show that even small movements such as their breath and small twitches are performed fantastically. Puppetry does not only stop here – the use of flying birds, large crows, a comical and purposefully annoying geese and even people are all executed with great knowledge of how these creatures move and react, as well as how the puppets of humans react well at the appropriate moments, such as being blown off a horse to the ground. How these puppets have been put together is also mind boggling – the urge to create horses with hair and other elements have been completely ignored and this is fantastic – this adds to the overall aesthetics of the piece but also give a wordless impact on the audience. As if this wasn’t amazing enough, as, it could be possible just to watch the puppets for an entire show, the acting is also fantastic. The contrast of the Devon folk to the soldiers, even to other human encounters such as a French mother and daughter and the German army are all executed well and with obvious differences. These differences help the characters in their emotions and situations, at points even bringing an element of sympathy to the German side, arguing with our own historical background and what we see in British and American movies. Each characters interaction with the horses shows human compassion and lets you also fall in love with these creatures. However, Albert and other characters with significant changes of accent were, at times, difficult to decipher. Whether this is due to trouble with articulation through accents, the theatre space or both, some sound and vocality was lost, leaving gaps in the storyline. Favourite parts (a part from the puppets) of the show were created with sound, music and lighting at amazing moments. Slow motion, freeze frames and such were complimented by these elements and gave the piece a sense of grandeur and the feeling of something really special. With not a single dry eye in the house (including my sobbing self!) 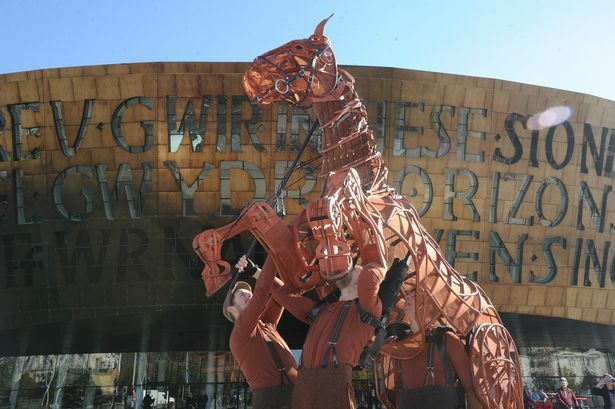 at the (good) rollercoaster of emotion that is War Horse and ending with a standing ovation, this production is everything and more you want from such a fantastic storyline and theatrical piece.